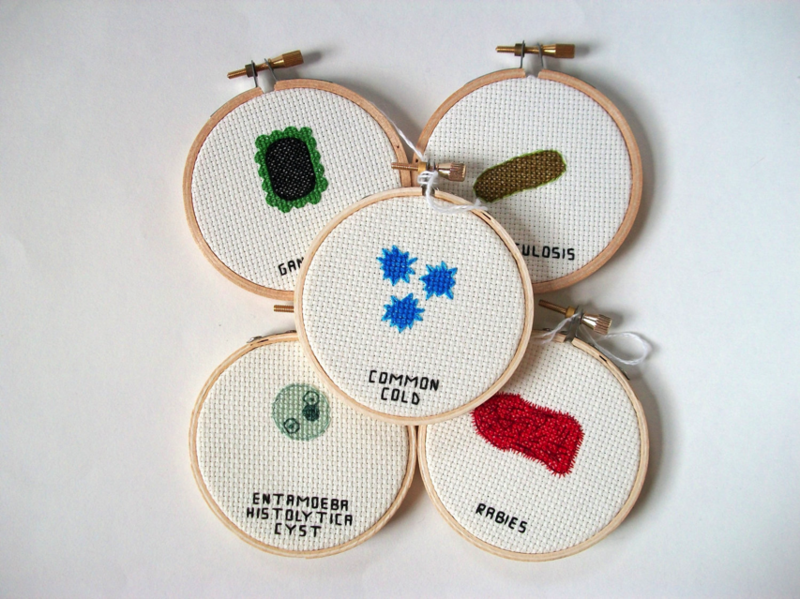 Microbe cross stitch! #WearableWednesday « Adafruit Industries – Makers, hackers, artists, designers and engineers! Etsy user aliciawatkins has these adorable cross stitch sets in her store- super nerdy and cute! Choose your 5 by noting which ones you’d like in the purchase order notes at checkout. Use the drop-down list to select the first one and to look through the list to decide on your other 4. Nab a set here! 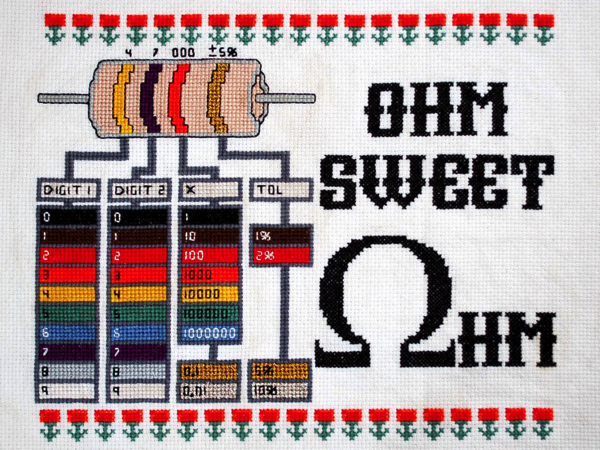 These remind us of our adorable Ohm Sweet Ohm Cross-Stitch Kits. If you want to try making your own cross stitch pick up one of ours here.